Heads up to all sneaker heads. Comments Off on Heads up to all sneaker heads. Growing up in Baltimore back in the 80’s was a wild time on so many levels. This was before streetwear was mainstream before Supreme, Stussy, and Diamond ruled the street clothing game. There was one trend setting shop in Baltimore that served up the best gear to all the dope dealers and local street hero’s, that was Charlie Rudo’s. 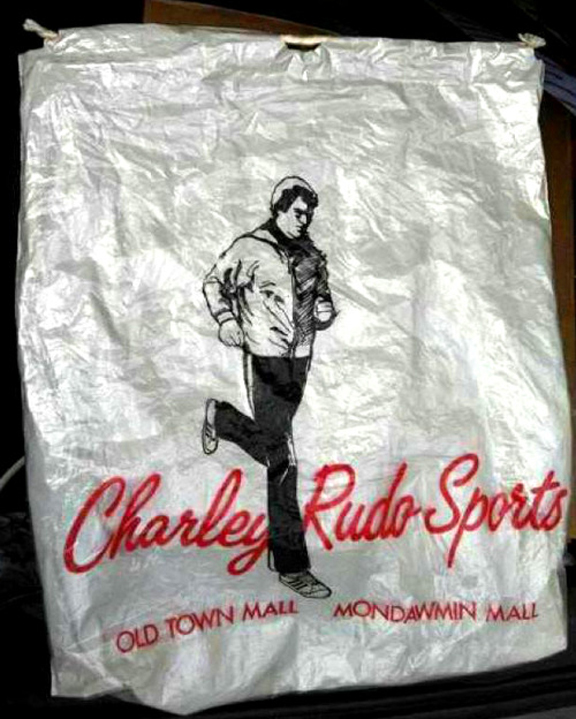 Charlie Rudo’s located in Oldtown and Mondawmin malls was ground zero for cool. I wanted to share a little bit of local Baltimore flavor with you all. Back when Nike first launched the Air Force 1, the shoe so commonly known as “Uptowns” got no love in NYC. The Air Force 1 was so unpopular that Nike was considering dropping this style from the collection because they could not meet the 5,000 or so shoe minimum with the factory. A local legend by the name “Mr. Shoe” who worked at Charlie Rudo’s at the time was practically buying the entire Nike Air Force 1 production. His belief in the shoe started a local buzz in Baltimore which spread to DC and Philadelphia. But Mr. Shoe and Charlie Rudo’s genius did not stop there. They started requesting custom limited edition colorways from Nike to meet the production minimums. So the moral of the story is that Baltimore, Charlie Rudo’s and Mr. Shoe, invented “Limited” sneakers, colorways and regional distro way back in the 1980’s. Had this not happened Nike would have dropped the Air Force 1 and history would be quite different.